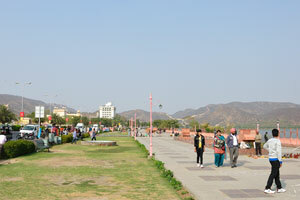 Jal Mahal seafront is very long and good for walking. 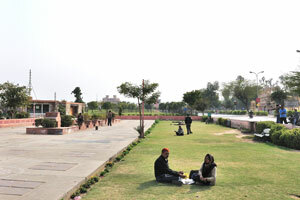 Indians like to sit on the grass of Jal Mahal seafront. 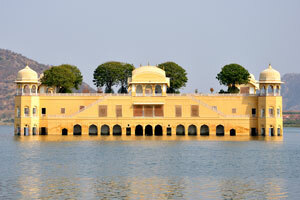 This is the famous Jal Mahal "Water Palace". 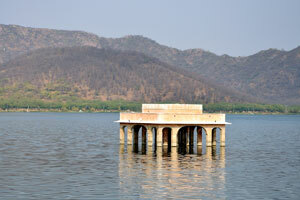 One of the buildings from the Jal Mahal complex. 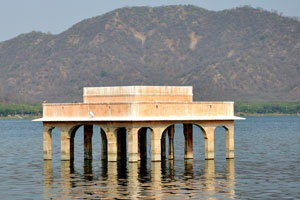 Jal Mahal Water Palace amidst Man Sagar Lake. 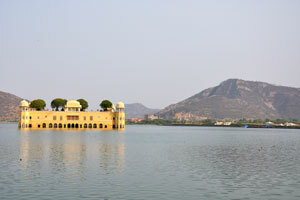 The historical buildings adorn the Jal Mahal seafront. 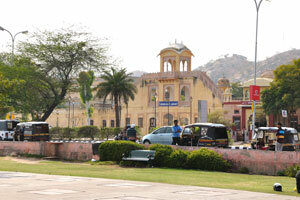 One of the palaces designed in Jaipur architecture style. 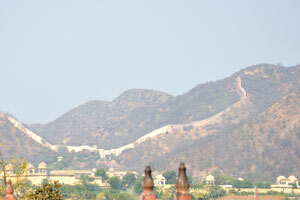 Aravalli hills and the ancient wall are found on the north of Water Palace. 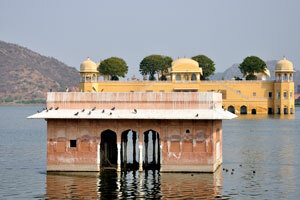 The pigeons have "decorated" the roof to the white colour. 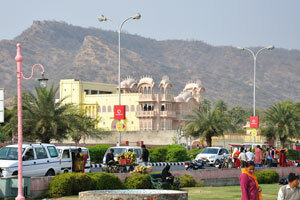 Aravalli hills are located in the background. 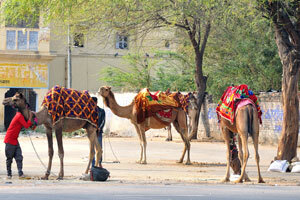 Camels are handsomely caparisoned with carpets.